Inheriting a project that had hit an impass, I rebuilt HP's Make it Matter website from the ground up to meet a complex and innovative animation and interaction brief. I managed to back-track a scroll-jacking paradigm, and instead allowed users an unhindered scrollbar while still smoothly triggering animations and immersive video experiences while they explored HP's enterprise offerings. The site was aimed at CTOs and COOs targeted through paid digital media. The site was integrated with HP's analytics platform and the header and footer were shared across all HP's website properties. Complex video pre-loading and memory management formed a substantial part of the exercise. The timeline was very aggressive, and a requirement to support older browsers made things challenging, but everything was completed and tested in time for a successful launch. “We went live last night in both the UK & US. We have had feedback to the tune of, “the site is stunning!” We tested really well on our side before launch from a performance & browser compatibility perspective – both got a “green light”. Thanks for all your QA, it paid off! “The quality of the coding was well-done”, per the HP Dev team and the Analytics team said the tagging was close to perfect! A short time later, HP Enterprise split into its own company. Netflix had comissioned a study that suggested movie spoilers actually increased the likelihood of a person choosing to watch the movie. MUH-TAY-ZIK HOF-FER conceived of a website exploring this idea, which included a few quiz games and a Russian roulette style page on which you could click a button to instantly view a clip spoiling the ending of a famous movie or TV series on the Netflix service. I handled all development and technical considerations, and directed design to allow for maximum flexibility. I prepared the site for the possibility of viral success, which proved valueable when we landed on Reddit's front page twice on launch day, earning the site over a million page views in its first 24 hours and over 10,000 video views per minute at its peak. Performance held up with zero degradation and videos loaded lightning fast because the virality kept them particularly hot on Amazon Cloudfront edge nodes. Some notable publications that featured the site were Time, CNN, Huffington Post, Gizmodo, The Verge, New York Times, CNBC, Refinery29, Entertainment Weekly, MTV, and Fast Company. The site was awarded a One Show Silver Pencil, a Gold Addy Award in San Francisco (and a silver nationally), a Silver Clio, and made the shortlist for an Andy award and a Cannes Lion. My colleague Nate Gagnon and I launched Judgey, a browser-based game that gave players the opportunity to literally judge books by their covers. The site then compared players' cover-based ratings with the book's reader-based ratings (via Goodreads) and gave a score and a judgement-personality assessment. The site made the Reddit front page and was covered in a few articles from Adweek, Gizmodo & HelloGiggles. A week later over 3 million book judgements had been cast, and I mined the data and published an article on Medium, which itself made the Reddit front page and was covered by FiveThirtyEight and The Independent. AAA wanted to remind its current and future customers about the usefulness of its services and discounts. We built an interactive microsite to allow users to playfully explore AAA's offering, aided by an interactive dial that changed the time of day our AAA couple's adventure. The videos were produced by MUH-TAY-ZIK HOF-FER and I was principal developer and managed additional developers. The site was built to scale to all interface sizes, but had specialized functionality involving large sprites and optimized GIFs to give mobile users an equally immersive and instantaneous experience with a lot of interactive moving imagery, despite some of mobile's physical limitations. 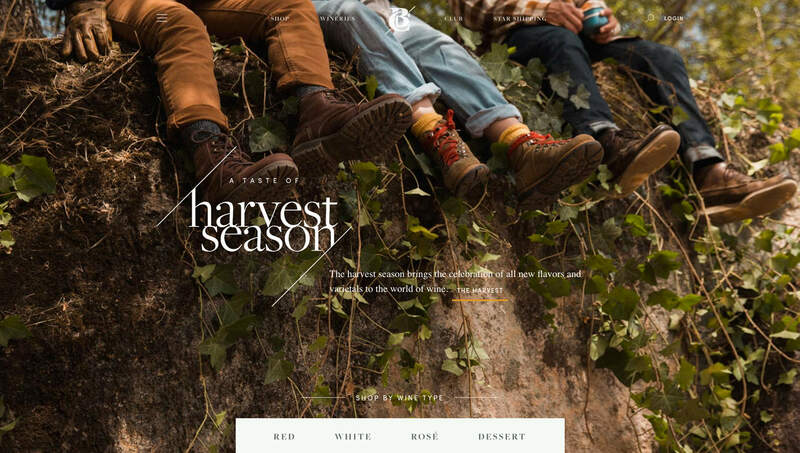 Constellation, a Fortune 500 company with over 100 brands in its portfolio, decided to revive its direct-to-consumer wine sales website, formerly called Expressions of the Vine. The brief was to redesign and rebuild the the site but to remain on the same wine e-commerce platform and use the same product database. Audi asked us to help cut through the noise and deliver notifications directly to their key executives' smartphones with important updates about Audi social media campaigns (which MUH-TAY-ZIK HOF-FER was running). 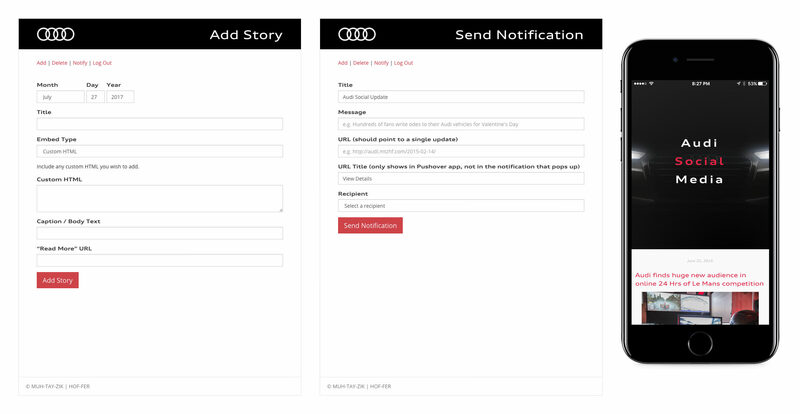 I created a simple CMS to allow our team to publish content and notifications, and we installed apps on Audi execs' phones to receive these notifications. The budget for this was tight, and we needed both iPhone and Android support, so we leveraged an existing notifications app but built a feed and custom CMS to publish content and connect with the app's notification API. MUH-TAY-ZIK HOF-FER had recently created Seismic's new visual identity and video commercials, and I set out to re-develop Seismic's website to something similarly modern and vibrant. I managed a vendor for the bulk of the site's development, who was tasked with integrating with Seismic's existing CMS, but I handled the complex parts myself - implementing HTML animations on responsive layouts like you see below. I don't make a habit of using the scroll-jacking UX paradigm, but Seismic requested it, and in this case it was reminiscent of presentation slides - which Seismic's customers (sales professionals) live and breath. 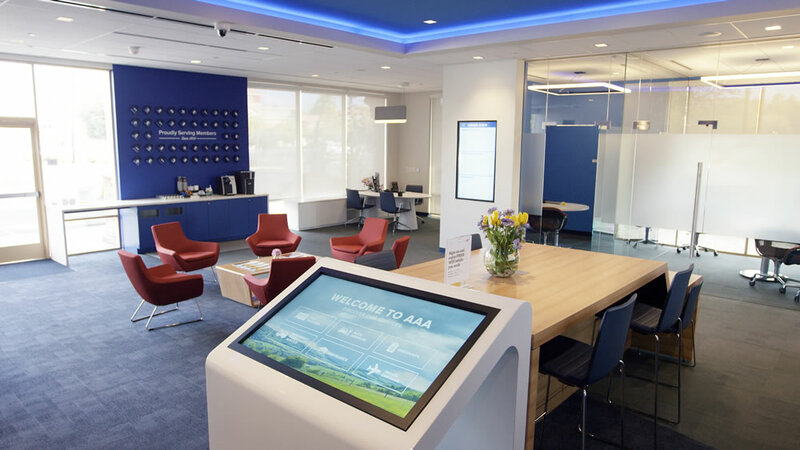 AAA of Northern California, Nevada and Utah started modernizing their branches; complete overhauls, one branch at a time. I built the touch screen interface which was remotely-deployable onto their 42-inch touch screens. Each branch's instance showed region-specific discounts and integrated with Google maps to help users visualize how far their towing benefits would get them for each plan-tier. I wrote an application for Hilton Worldwide, called DTour. It was a contest where users could submit their vacation photos in revolving categories on a highly customized interactive Google map. 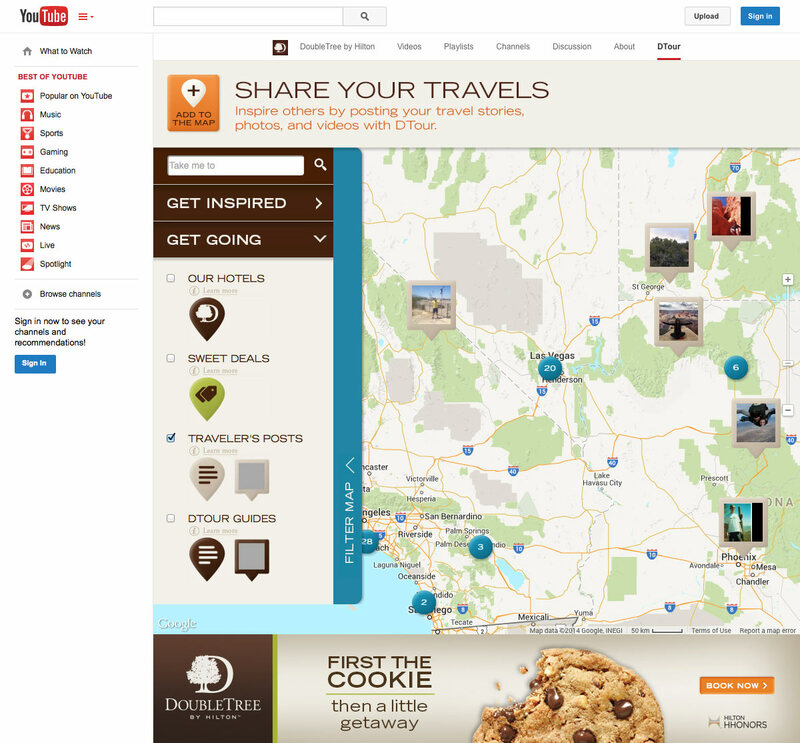 Users could browse the map for travel ideas (photo and video submissions from other contestants), and the locations of DoubleTree hotels. 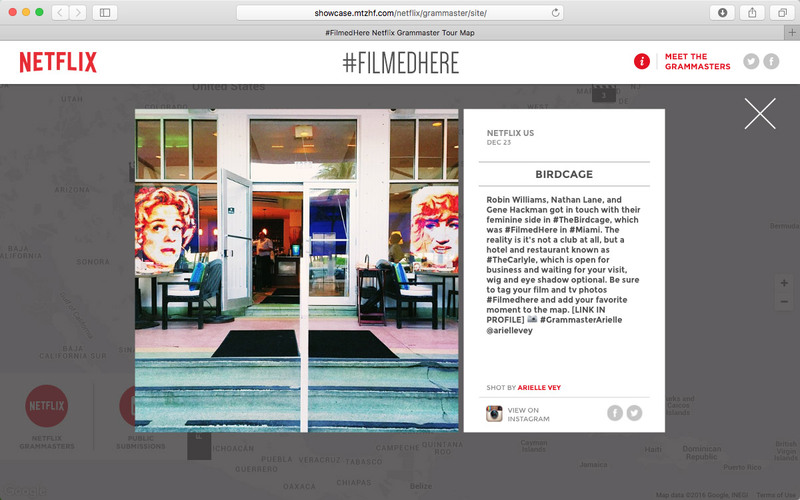 The UGC contest component leveraged Thismoment's Content Cloud platform. The site ran in partnership with Google, who was widely publicizing its then-flexibility of custom brand experiences on YouTube. This interesting interview with John Greenleaf, global head of the DoubleTree by Hilton brand talks about the partnership. The site earned over 140,000 visits, millions of video views, quadrupled DoubleTree's YouTube subscriber-base, and received over 1700 user-generated content submissions. DTour won a Gold Adrian Award and a Silver Anvil, and was covered by in articles by Adweek, Google, and USA Today. The task was to generate buzz on Twitter for the Orange Is The New Black Fan Event, and to help Netflix identify influencers and superfans. With the event fast approaching, we built Litchfield Lockup, a digital Security Housing Unit or SHU - a concept fans of the show were familiar with, from concept to launch in under two weeks. Fans would be asked to prove their dedication to the show by doing one of the hardest things imaginable on the internet today. To prove they were truly confined in solitude on the site, fans were required to keep their mouse pointer alive and in their browser window (or their finger down on their phone screen). Leave the window? game over. Leave the pointer in the same spot for too long? game over. Despite being a Twitter-only campaign, with no paid media or PR, over 35,000 digital prison sentences were served, with 44 dedicated fans making it to the full hour - a LIFETIME of digital boredom. After putting together the site in a matter of days, I built an intricate referral URL system to keep track of not only who stuck it out longest in the SHU, but also who the superfans were, and how much clout they had in the Orange is the New Black Twitter community. AAA incubated and launched the highly successful GIG Car Share in the Bay Area. MUH-TAY-ZIK HOF-FER handled all branding elements from car wraps to brochures to keycard design. I directed development on the website, and ensured a smooth modern site and management system for Gig to inherit administration of the site. 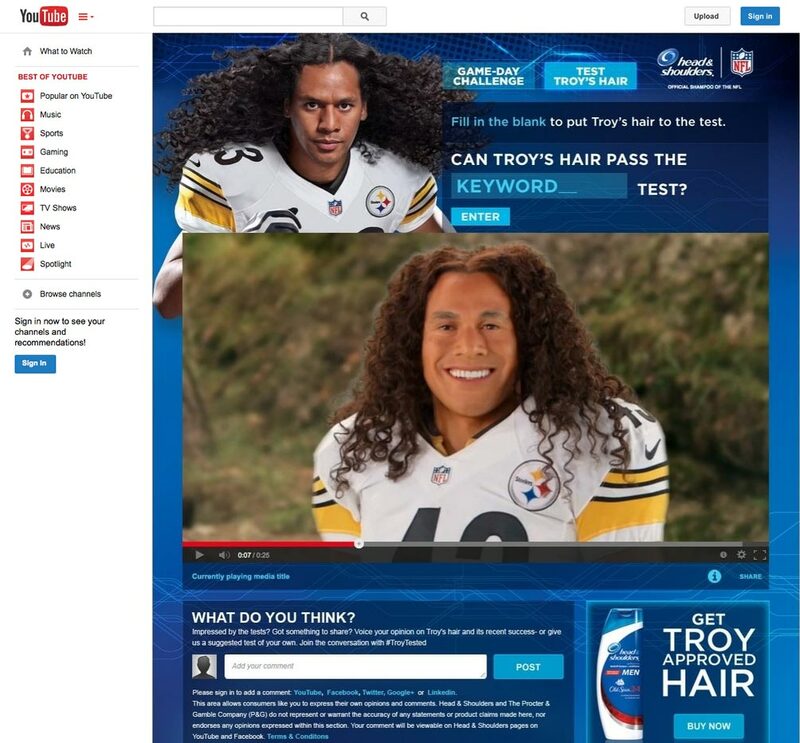 Our partner created 200 video clips using a wax model of NFL's Troy Polamalu head and famous hair. The custom Youtube channel we created then invited users to enter any test they could think of for Troy's hair to withstand. We tracked a list of the most commonly requested tests, and had new videos created to meet that demand. We ran a contest for Netflix to find three skilled instagrammers and sent them on a tour of famous TV and movie locations. 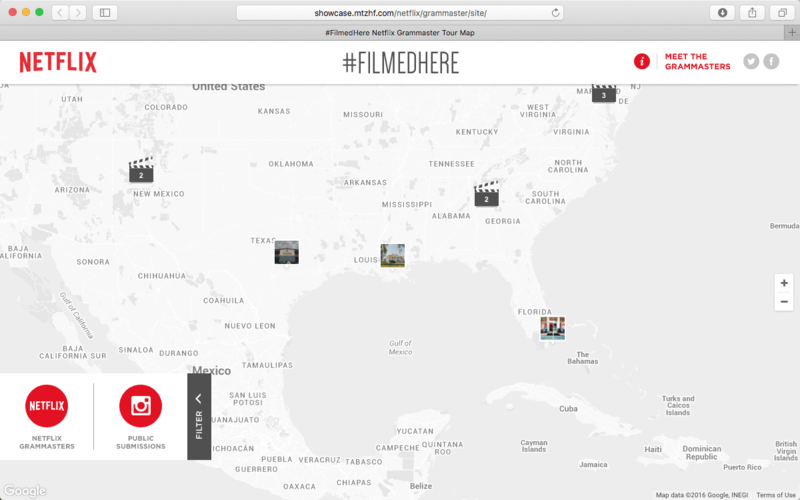 We showed their photos on a map as they traveled, and invited the Instagram community to participate by contributing their own photos taken at famous TV and movie locations. We used a platform to moderate, and secure rights for republishing submissions, and created a custom map. I directed development on the project and periodically contributed to the codebase. Assisted Health-Ade Kombucha, the fastest growing Kombucha brand, with parts of its web store, including consultation on SEO and SEM. 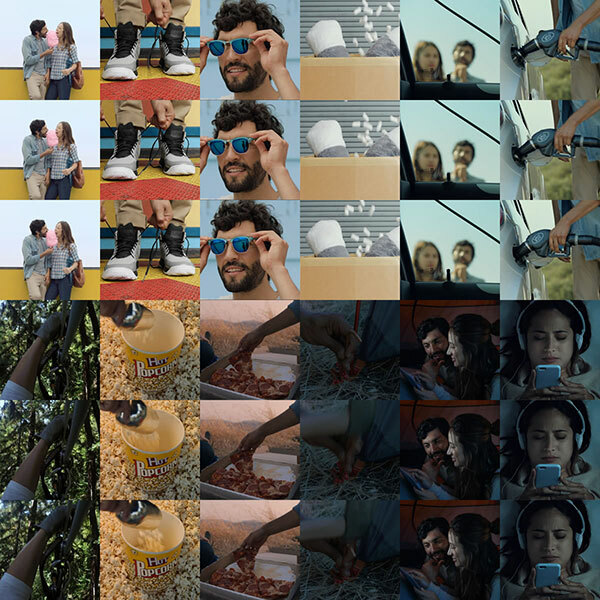 Assisted with the development of Doritos' Crash the Superbowl contest in 2014. Doritos.com was used for this purpose only for a the contest period. Thousands of contestants submitted a commercial for Doritos to play at the superbowl. The prize was a million dollars. Maintained (fixed and improved) a flash-based radio player for coca-cola.fm for the latin american market, and the site surrounding it. Maintained (fixed and improved) ihop.com. Their site was primarily a custom front end using social media aggregated by the Thismoment platform. Led a team of 13 developers in building and maintaining custom Youtube channels (iframed-in experiences), for ABC, Acura, Axe, Budweiser, Cadillac, Chevrolet, Clorox, Disney, ESPN, Fisher-Price, Gain, Gillette, Johnnie Walker, Landrover, Lego, Levi's, Microsoft, Nestle, Nickelodeon, Nissan, Pampers, Paramount, Ralph Lauren, Sony, Tide, Tostitos, Toyota, Ubisoft, Verizon and Walmart. We also converted all of these sites to responsive when Youtube changed its system. Having vision, and executing on a vision — these are two distinct skills that exist in tension. Both are required for cultivating sustainable excellence. 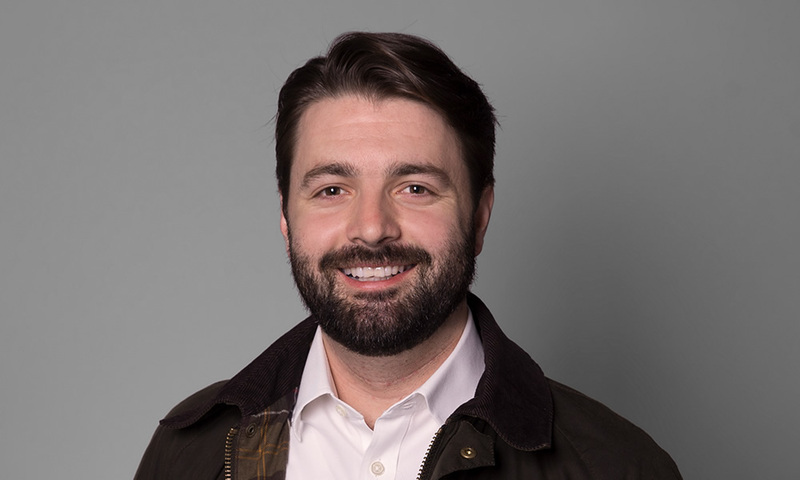 As an engineer I take great pride in finding solutions and driving the details of a high quality production, and as a leader I understand the need for looking beyond today's urgencies to innovate and to inspire. I have developed Individual Contributor specializations throughout my career, including Software Engineering (Web, Front and Back end), User Experience Design, Product Management, Digital Production, Strategy, SEO and Data Analytics. More recently I have led teams of engineers, providing guidance and supporting them in producing great products. The internet has provided a fascinating paradigm for creativity. Due to the pace at which the environment and tools change, no-one can secure a lead without continual adaptation. The experts don't get to keep their lead with years of experience alone, because the tail end of that knowledge becomes obsolete so fast. The most effective players are those who can adapt the fastest, and continually mix their orthoganal experience with new methodology. Adaptivity is the only specialization truly worth its salt in technology. Having worked at a number of early-stage silicon valley start-ups, I have become accustomed to the rate of progress that only a small, motivated team without too much hierarchy can seem to yield; where experimentation and initiative are fundamental, and every member feels a sense of ownership. I have sought to ignite culture like this in the teams I have led, and have produced highly effective digital projects for companies like Netflix, HP and AAA. My work has been awarded with a Silver Pencil (The One Show), a Gold Pencil, a Silver Clio, and a (national) Silver Addy. Sites I have created have been featured on Time.com, USA Today, CNBC, and others. I also created an interesting mini-game and mined its usage data. It was featured on Gizmodo and FiveThirtyEight. I hold a patent on a video streaming technology I helped develop. If you would like to connect with me, email dean.casalena@gmail.com or add me on LinkedIn or Twitter. I'm based in New York City at the moment, but I sure do miss San Francisco.